The Vought Corsair was the first American single-engined fighter to exceed 400 mph and establish dominance over the legendary Mitsubishi Type Zero-sen. The Ki-84 Hayate was introduced by the Japanese specifically to counter this growing American dominance of the skies over the Pacific. Built in greater numbers than any other late war Japanese fighter, nearly 3000 were completed between 1944 and 1945. 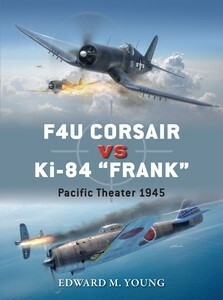 This volume examines the clashes between the Corsair and Ki-84 in the closing stages of the war, revealing how Corsair pilots had to adapt their techniques and combat strategies to adapt to these newer types. It also reveals how the kill rate was largely driven by the reduced quality of fighter pilots after the high casualty rates inflicted on the Japanese air force during the air battles over the Solomon Islands. Edward Young is a retired financial executive with degrees in Political Science from Harvard University and the University of Washington. During his career he held assignments in New York, London, Tokyo and Hong Kong. 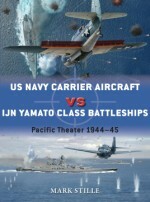 He has written a number of books and numerous articles on aviation and military history. He is the author of Osprey Campaign Series 136: Meiktila: The Liberation of Burma, Warrior Series 141: Merrill's Marauders, Osprey Combat Aircraft Series 87: B-24 Liberator Units of the CBI, Duel Series 41: B-24 Liberator vs. Ki-43 ‘Oscar' and Osprey Aircraft of the Aces 109 - American Aces Against the Kamikaze. He lives with his wife in Seattle, Washington.Jim Laurier is a native of New England and lives in New Hampshire. He attended Paier School of Art in Hamden, Connecticut, from 1974-78, and since graduating with Honours, he has been working professionally in the field of Fine Art and Illustration. He has been commissioned to paint for the US Air Force and has aviation paintings on permanent display at the Pentagon. Gareth Hector is a digital artist of international standing as well as an aviation history enthusiast. Gareth completed the battlescene artwork and cover artwork.